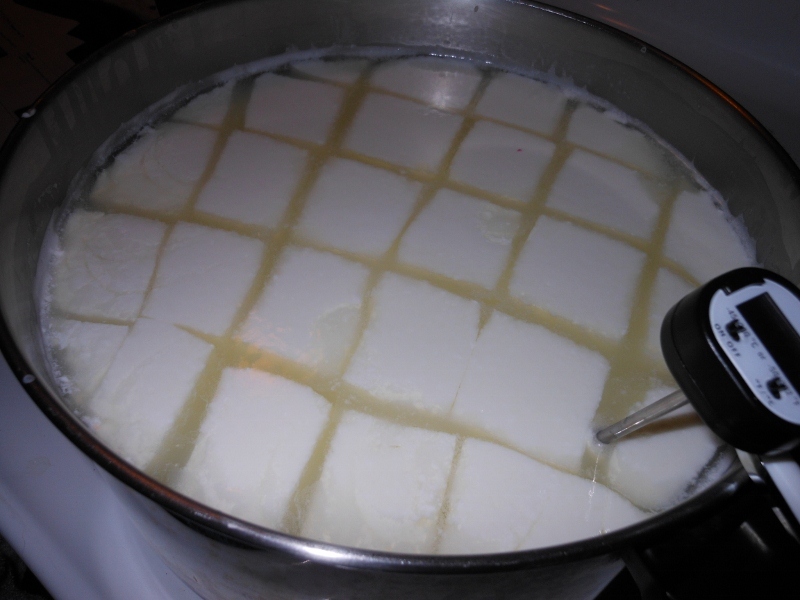 Homemade Mozzarella …. or so we hoped! We’ve taken the rennet and the citric acid and dissolved them in their own bowls as directed. Heat the milk to 55 degrees; add the citric acid and stir. Then we heat to 90 degrees adding the rennet and stirring for no more than 30 seconds as directed … removed heat and let set for 5 minutes. Here’s where it all went wrong we think …. what does “somewhat hold its shape” mean? I said “oh, I think that is right”. Perhaps we were premature in deciding it was holding it’s shape. Perhaps the milk is ultra-pasturized and unmarked. Perhaps ….. 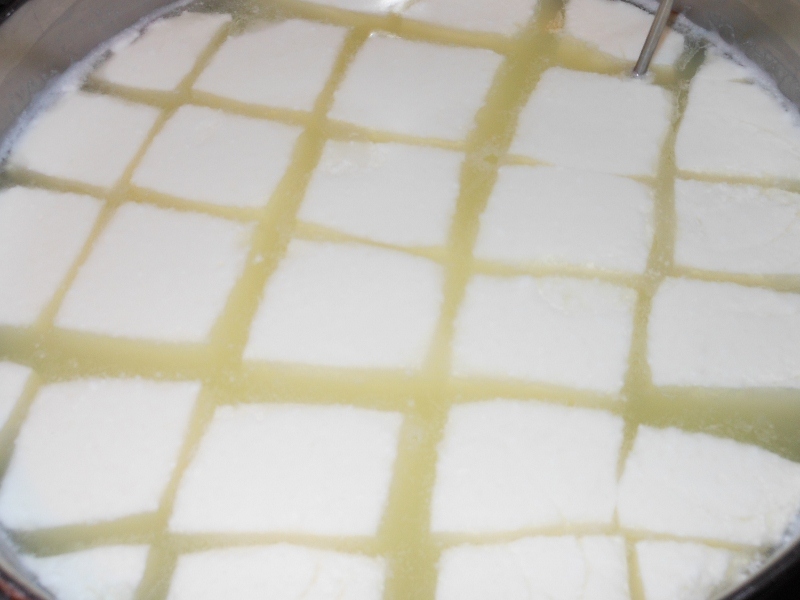 So we proceed on cutting the curd; heating again, waiting some more … then straining ….. This picture actually makes it look like something but as I continue releasing the whey it all disintegrates. 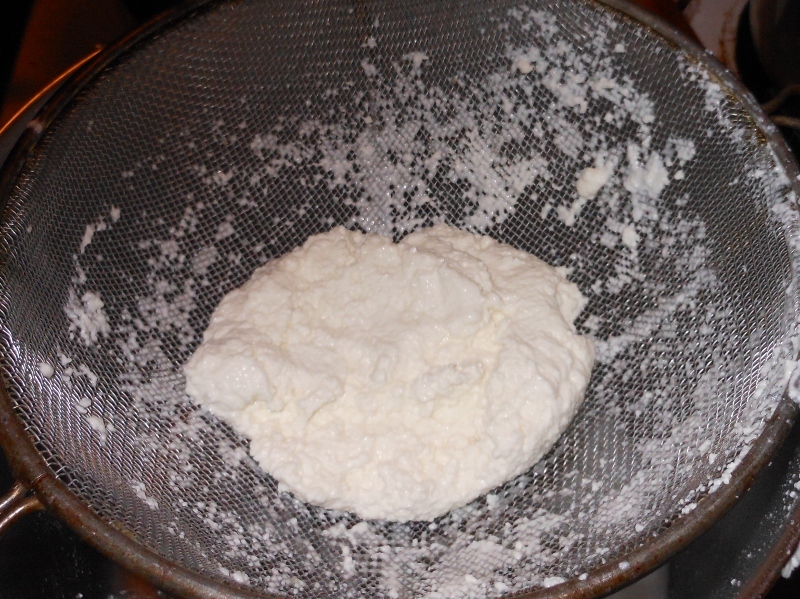 We decide to continue anyway … heating the whey and trying to knead our cottage cheese ball into something. I wish I had taken more pictures but by this time the disgust has set in and after several more minutes of trying to make cheese we put on our coats and head to the chinese restaurant for some carry out…. we shall try again. Just got another gallon of milk perhaps Monday will bring more luck!